If you are a lover of pretty things then this is the bouquet for you! 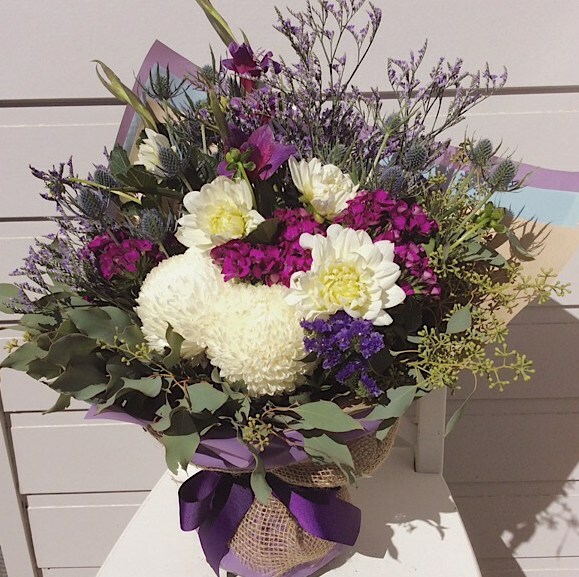 Our florists will hand-tie the best seasonal blooms of the day in shades of white and purple combined with beautiful green foliage. Gift wrapped in complimentary paper and vintage rustic hessian.